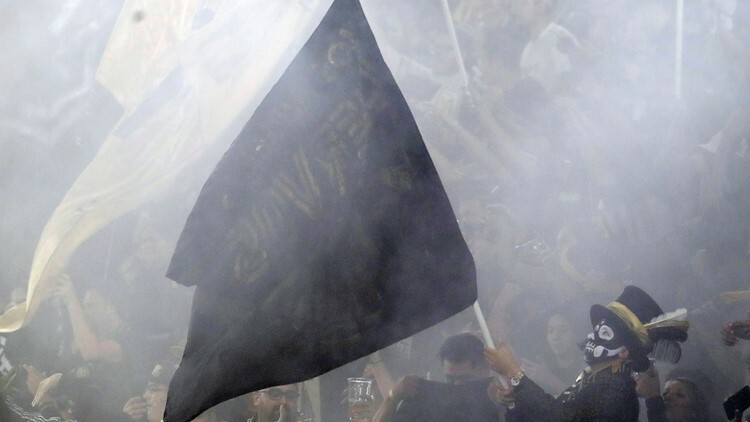 Carlos Vela scored two goals, Mark-Anthony Kaye had three assists and Los Angeles FC beat Seattle 4-1 on Sunday to hand the Sounders' their first loss of the season. 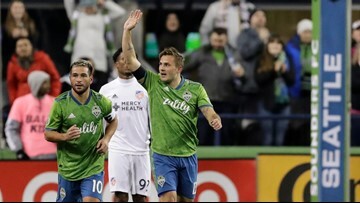 Nicolas Lodeiro scored in the 18th minute, and the Seattle Sounders extended their club-record start with a 1-0 victory over Real Salt Lake on Saturday night. 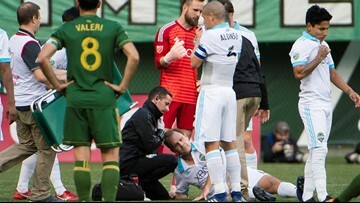 A video replay decision in extra time cost the Vancouver Whitecaps a for penalty kick in a 0-0 tie with the Seattle Sounders on Saturday night. 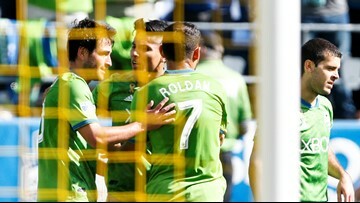 Victor Rodriguez and Jordan Morris each had first-half goals and Seattle scored the opening three goals before holding off the Chicago Fire 4-2 on Saturday for the Sounders' third straight victory to open the season. 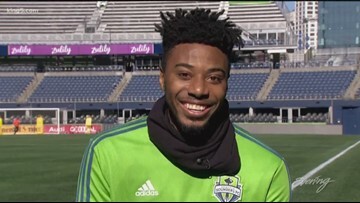 Kelvin Leerdam and Raul Ruidiaz scored in the first eight minutes in the Seattle Sounders' 2-0 victory over the Colorado Rapids on Saturday night. 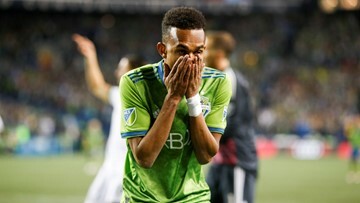 Playing his first MLS match since September 2017, Jordan Morris scored a pair of first-half goals, Kelvin Leerdam added another in the first 45 minutes, and the Seattle Sounders opened the regular season with a 4-1 romp over expansion FC Cincinnati. 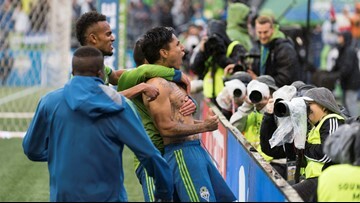 Colombian striker Fredy Montero has returned to Major League Soccer's Vancouver Whitecaps, agreeing to a two-year contract. 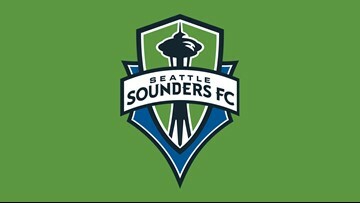 The Seattle Sounders want to become carbon neutral this season. 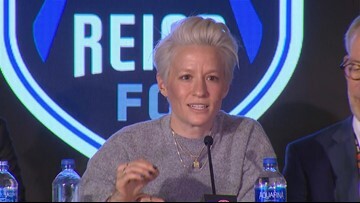 The Reign FC will soon call Tacoma home, and the Seattle Sounders' club team will now be called the Tacoma Defiance. 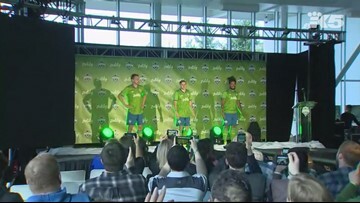 The Sounders' jerseys will soon get a new look along with the Seattle Reign. 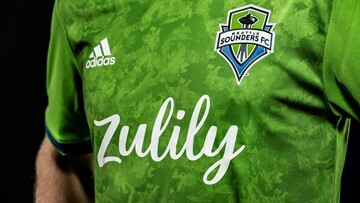 Seattle Sounders FC announced Thursday that online retailer Zulily will be the team’s new jersey sponsor. Bone scored 13 goals in 22 games during his senior season. 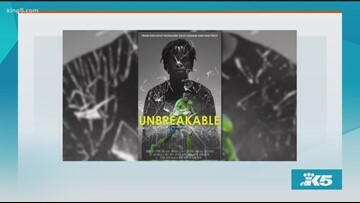 "Unbreakable" recounts the Seattle Sounders FC player's recovery from an unprecedented injury. 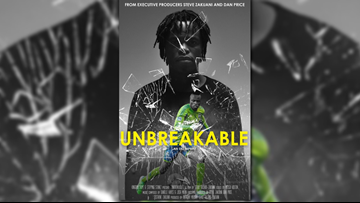 A documentary premiering in February will recount Seattle Sounders player Steve Zakuani’s recovery from an unprecedented injury. Mark Geiger looks at the calendar and feels aged out of his job. 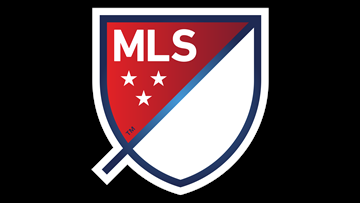 The first American to referee in the knockout stage of the World Cup is retiring after 15 seasons in Major League Soccer. 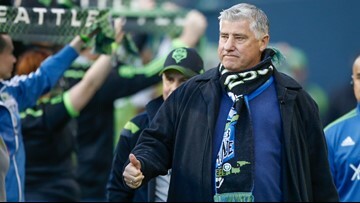 Sigi Schmid, former Sounders FC head coach, has died at the age of 65. 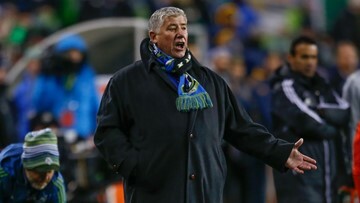 He was the winningest coach in MLS history. 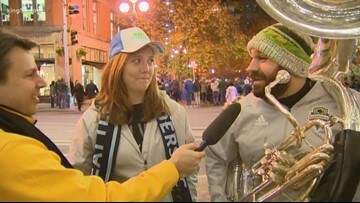 King 5's Darren Peck reports. 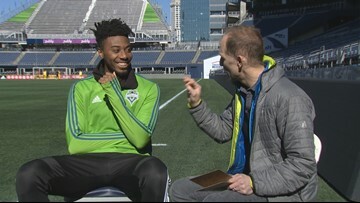 There was no word on how long the anchor of Seattle's defense will be out. 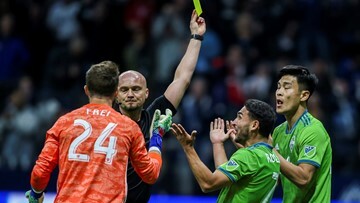 When Raul Ruidiaz joined the Seattle Sounders in late June, they weren't even close to making the MLS playoffs - not even the knockout round.